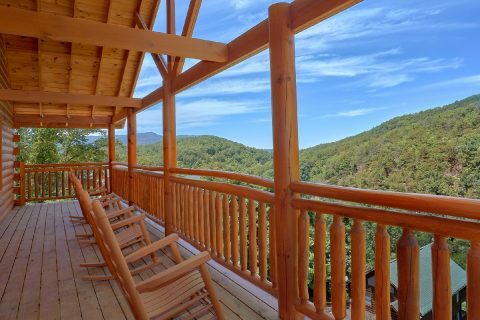 Ready for a group cabin vacation you won't soon forget? 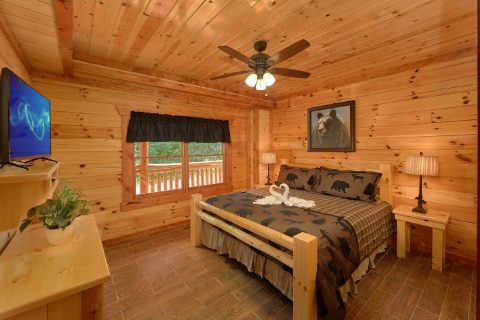 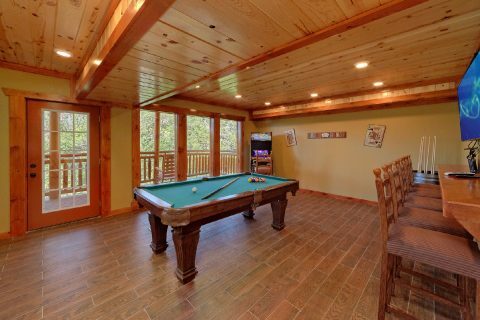 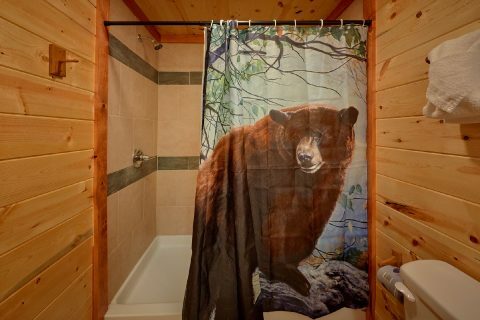 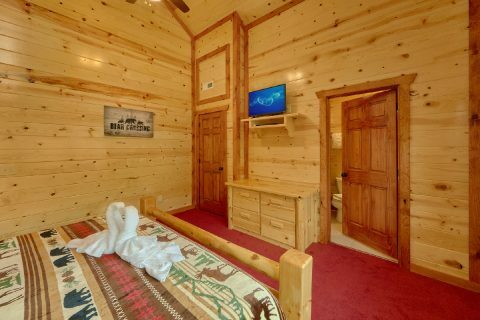 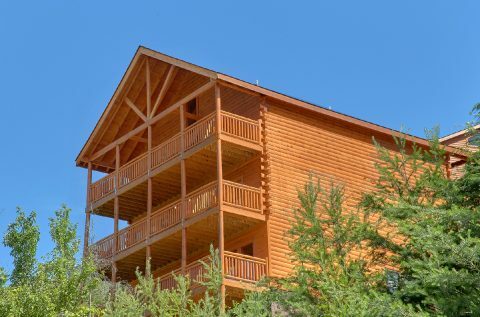 Come experience "Marco Polo," a luxurious 8 bedroom cabin rental in the Black Bear Resort area of Pigeon Forge! 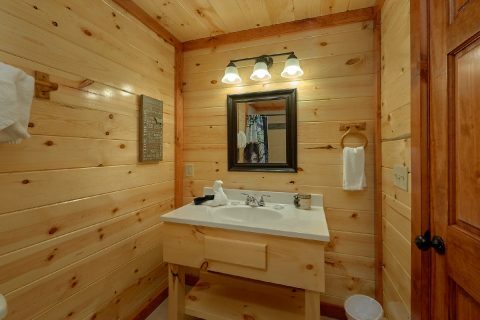 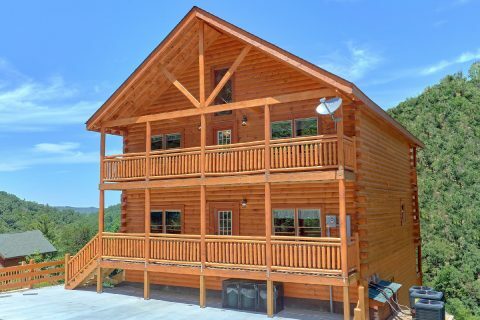 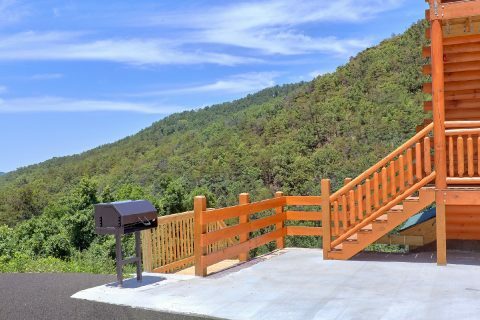 When staying at this cabin, you'll enjoy quick access to Downtown Pigeon Forge, which is only 5 miles away. Additionally, the Great Smoky Mountains National Park is only 10 miles away via Wears Valley and the Metcalf Bottoms Entrance. 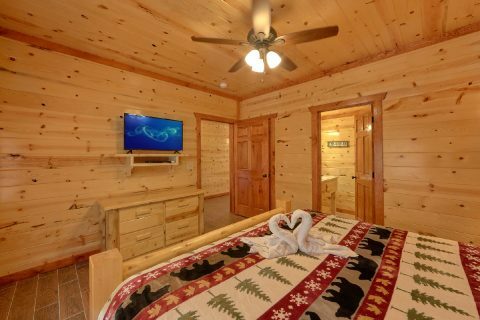 Not only does this spacious lodge keep you close to wonderful destinations like Dollywood and Cades Cove, but it also ensures you'll have plenty of comfortable space for your group! 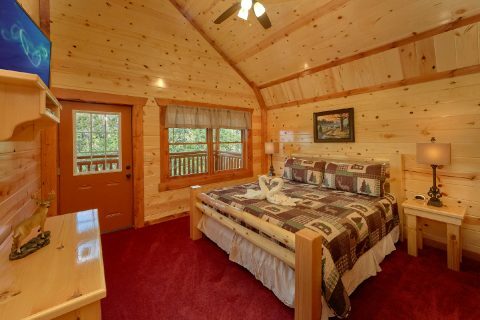 With 8 private bedrooms and room for plenty of guests, this spacious group cabin sleeps up to 22 guests in comfort, so it's ideal for a group getaway or a big family vacation. 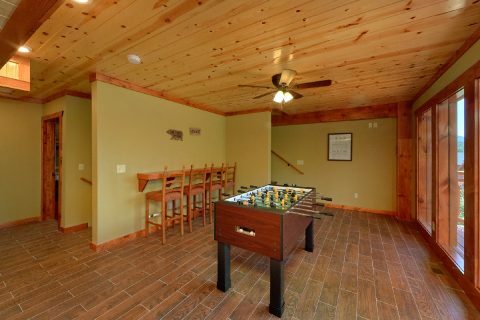 Better yet, this rental comes complete with everything you need to unwind during your stay. 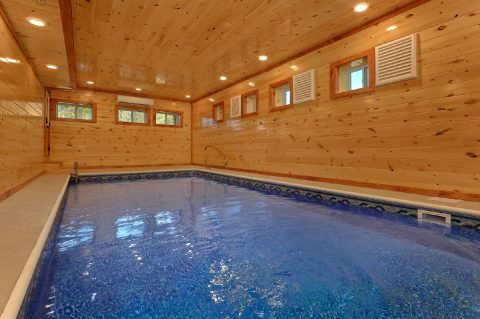 With the private indoor swimming pool, you'll enjoy taking a dip any time of year! 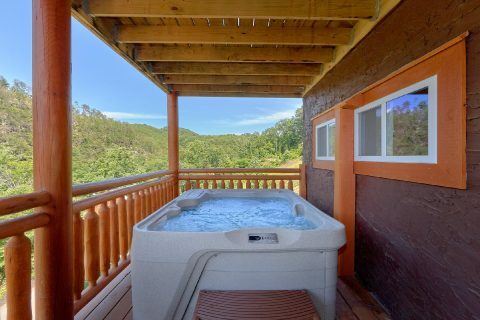 Additionally, "Marco Polo" comes with a hot tub for taking a relaxing soak while you take in your cabin's surrounding scenery. 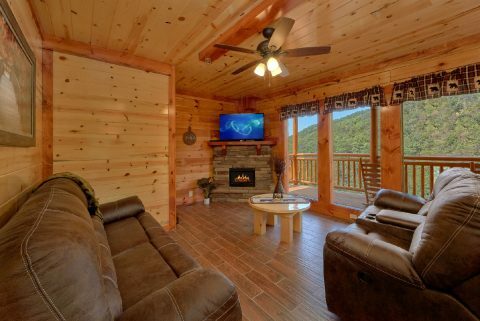 The open-concept living room is the perfect place to relax by the fireside and spend quality time with the people who matter most! 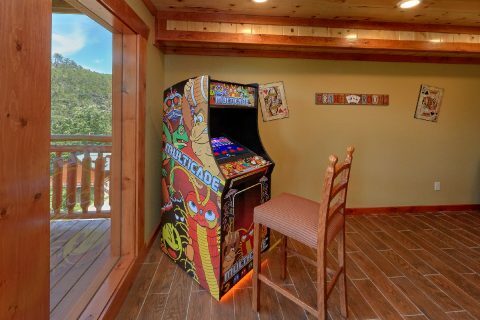 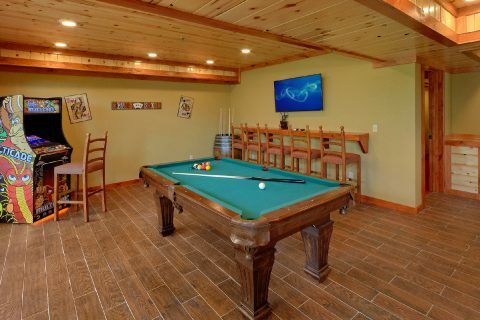 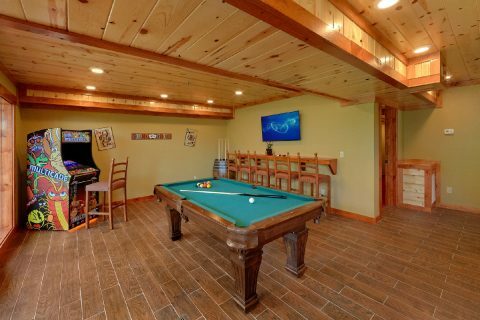 For some in-cabin entertainment, you can try to set the high score on the multi-game arcade game or simply enjoy a fun game of billiards on the pool table with your friends. 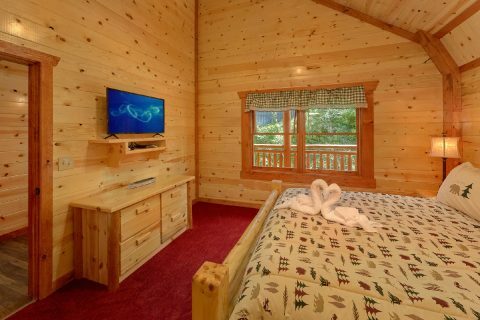 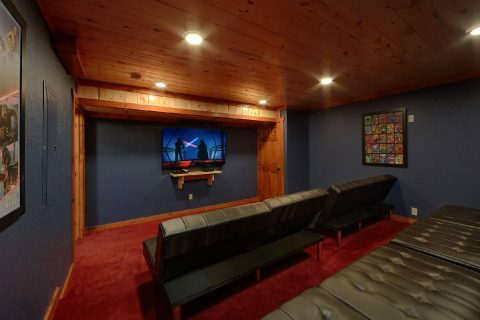 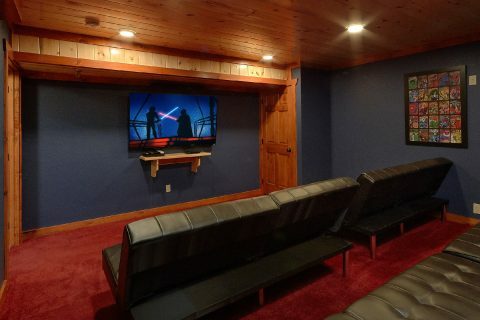 This cabin even offers its own private theater room, so you can watch your favorite films on the big screen! 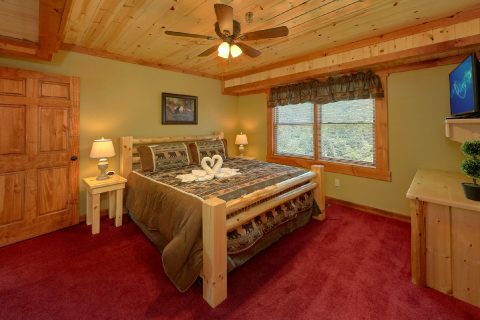 On the main level, you'll find two bedrooms with comfortable king-size beds. 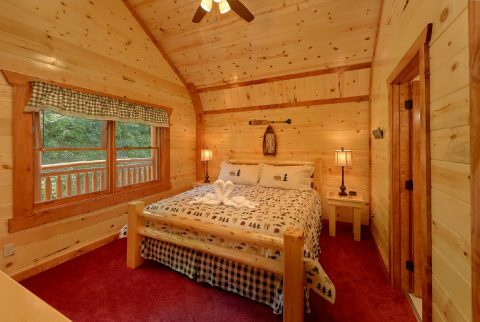 Upstairs, you'll find 4 more king bedrooms. 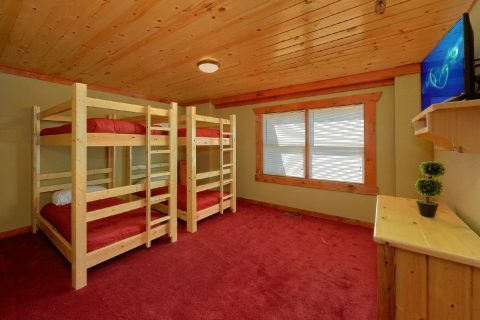 On the lower level, there's another king-sized bedroom and 1 bedroom with 2 sets of twin bunk beds. 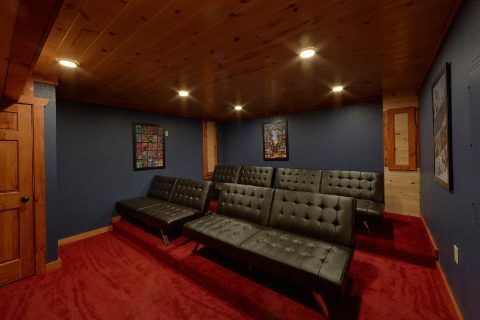 Lastly, there are 4 futons located in the theater room, so "Marco Polo" can sleep up to 22 guests in comfort! 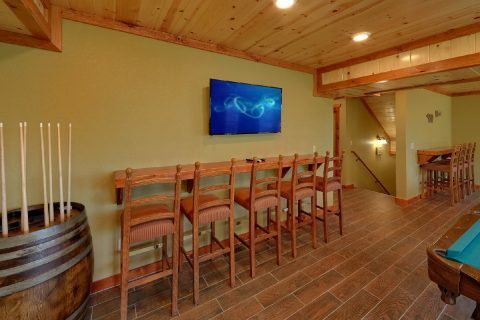 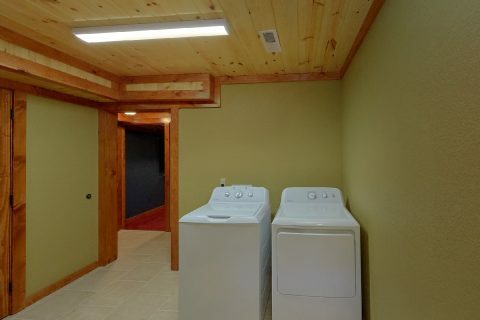 Lastly, this spacious group cabin comes with practical amenities like an electric fireplace, a laundry room, and a charcoal grill for guests to use. 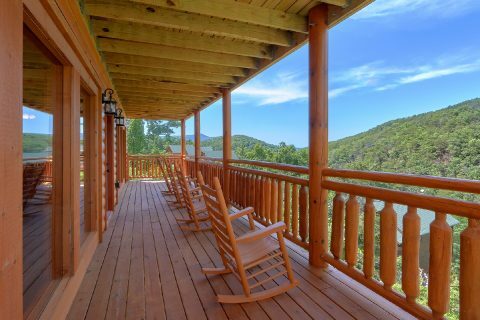 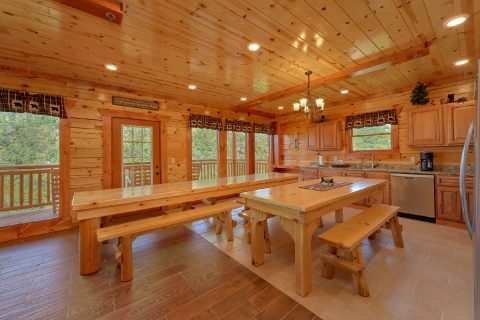 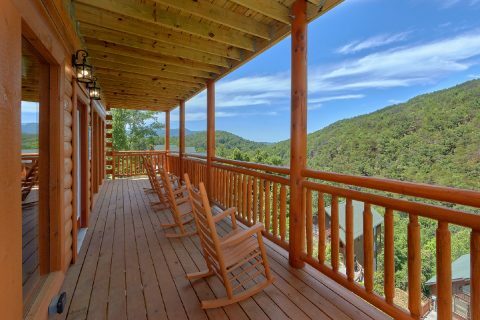 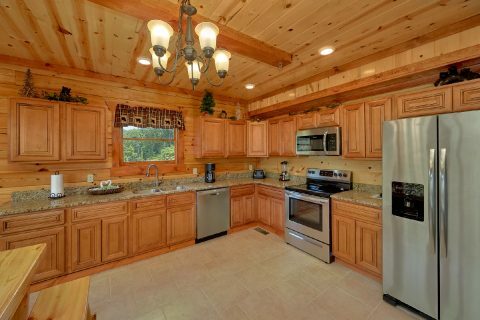 This rental also provides a fully-equipped kitchen, so you can make delicious cost-saving meals during your log cabin vacation in the Smokies. 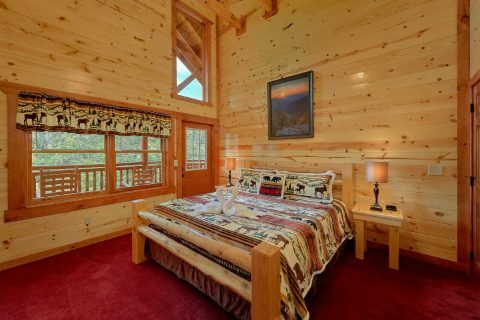 Want to save even more on your vacation? 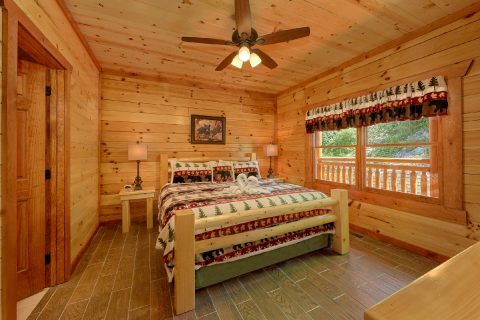 Simply book "Marco Polo" with Cabins USA to earn a 15% discount on your nightly rate. 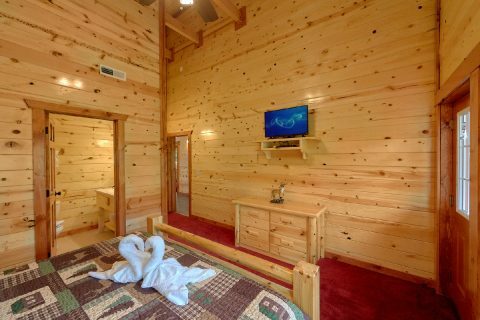 Bring your group on an unforgettable trip to Pigeon Forge and stay at this impressive log cabin for less!